She is now in a peaceful and loving resting place with our Lord and Saviour. A moving memorial service and celebration of her life was held at Spiritwood at Pine Lake, her last home, on February 9, 2010 with many residents, her Angels from Providence Hospice of Seattle and friends and acquaintances who knew her through the Weekly Chapel services and Bible Study. Her interment was held on March 9th at 2 PM at the Memorial Garden of First Presbyterian Church, Bellevue, Washington. The service was led by Rev. Danna Van Horn of First Presbyterian Church of Bellevue. Otto closed the service with a reading in German from their Heidelberg church order of service and closed with the Benediction in German and English. The Rev. Gail Doering, Pastor, Clayton Valley Presbyterian Church and close friends, Ingrid and Joel Butler were also in attendance along with Herta's son Werner and his wife Carol. Her son, Ralph, also attended in spirit from the Chapel of Plymouth Congregational Church, Minneapolis, MN. A Memorial Service and Celebration of Life was held 10 AM on May 28, 2010 at Clayton Valley Presbyterian Church, Clayton, California. Memorial gifts in Herta Henn's name may be made to Clayton Valley Presbyterian Church, 1578 Kirker Pass Rd, Clayton, CA 94517 or to Providence Hospice of Seattle Foundation, 425 Pontius Ave. N., #300, Seattle, WA 98109. A slideshow containing pictures from her early life (1913) through last year may be viewed by clicking on her picture or this link to her Album: Herta Erika Anna Henn. The Gaelic Blessing was sung at both services on January 31, 2010 by the FPCB Treble Choir - Bel Canto and dedicated by Scott Dean, Director of Worship & Music, to the memory of Herta Henn. Herta Erika Anna Henn was born in Heidelberg, Germany, on October 14, 1911 as the youngest daughter of E. Oscar Werner and his wife, Helene, nee Taubert. She was baptized at the protestant-evangelical Christuskirche. After four years at the local primary school she attended the Higher Girls School for six years and then transferred to the local High School. It was there that she met Otto W. Henn, her future husband. After another year at the Heidelberg business school she went to work for the first of two local banks. During those years she also perfected her command of the piano and pipe organ keyboards, and was active as a teacher of her church's Sunday school, the same church as her future husband, who was preparing to become a pastor. As they were preparing to become husband and wife, Hitler came into power and started to complicate their life plan owing to the fact that Herta's grandmother had been Jewish, which made their relationship undesirable to the powers that be. After getting married on January 30, 1938, at the Peterskirche in Heidelberg, Otto and Herta decided to take advantage of an opportunity to immigrate to the United States, a plan which was made possible by the fact that Herta's uncle and sister already lived there, in Wyoming and Colorado. Otto and Herta applied for U.S. immigration visas and they left Germany on June 1, 1938. They arrived in Denver, Colorado and settled in with Herta's sister Irma and her husband, Paul. Soon after becoming acquainted with the German Congregational Church, Otto was offered a scholarship at Yankton College and Seminary (SD) where Otto graduated with a B.A. and B.Th. the next spring. Otto received a call to his first American church in Culbertson, Nebraska followed by a call to a church in Lincoln, Nebraska. Their first son, Werner, was born on Herta's birthday, October 14, 1939, that first autumn in Culbertson. While in Lincoln, Otto received an opportunity to transfer into the United Presbyterian denomination. Subsequently, he served churches in Osmond, Randolph, Broadwater and Lisco, Nebraska. While they served in Osmond, their second son, Ralph was born on August 18, 1945. After Nebraska, Otto served as the Assistant Pastor in Casper Wyoming, First Church. Their next pastorate was as the pastor of 1st Church, Cut Bank, Montana. Otto and Herta then moved to the San Francisco Bay area where Otto worked in Daly City in New Church Development, San Francisco Mission United and finally at Clayton Valley Presbyterian Church. In all of these churches, Herta served not only as the Pastor’s wife, but as Organist, Accompanist, Choir member, Youth Choir Director and Sunday School teacher. She also gave piano lessons, sharing her love of music wherever she lived. Following Otto’s retirement, they lived for a time in their own home in Pittsburg, California. This was followed by a two year stay in a retirement home in Antioch before moving to Issaquah, Washington. 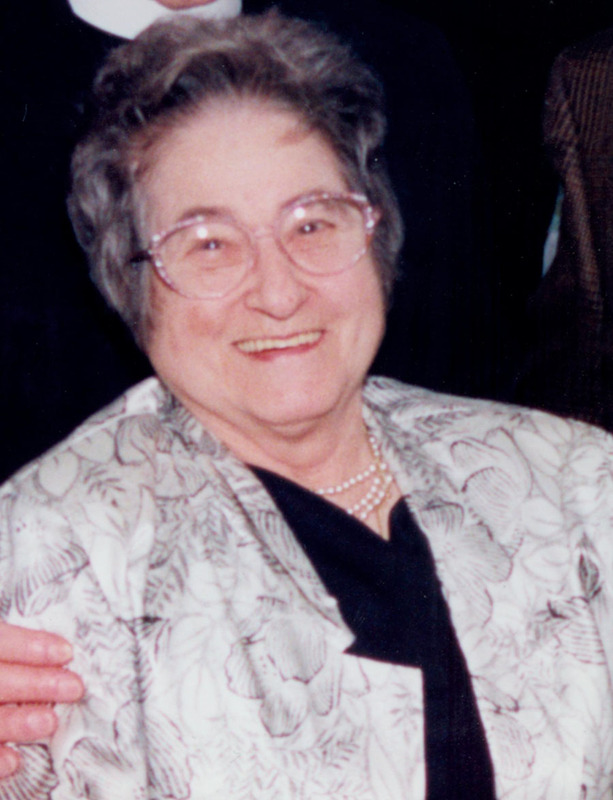 Herta died, in Issaquah, on January 30, 2010, on Otto and Herta’s 72nd Wedding Anniversary. 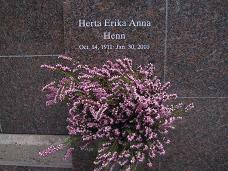 Herta is mourned by a multitude of family and friends all over the world, including her husband, Otto, two sons, Werner (Carol) & Ralph, four grandchildren, Mark (Thomasina), Brian, VerLaine and Clarke, five great grandchildren, Zachary, Tyler, Lauren, Alyssa and Aidan, and their extended families. If you are having problems viewing the slieshows or have questions, please email me.